As your site starts growing you’re going to need to start sharing resources with other team members in order to better manage all that data. 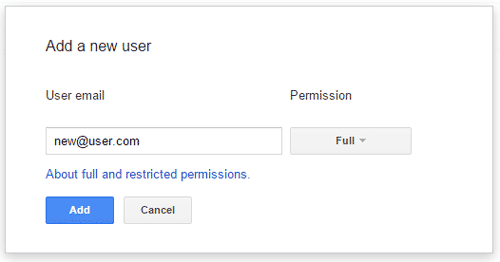 Adding new managers to Webmaster Tools isn’t exactly a hidden feature but you want to make sure you assign the right permissions for third-party assistance. Keep on reading to learn how to add users to Google Webmaster Tools or scroll down to see it in convenient video form. 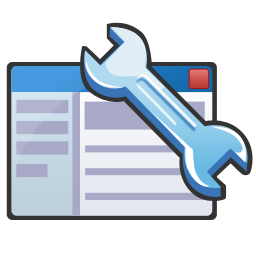 Update: Google has recently changed the name of Webmaster Tools to Google Search Console. However, we’ll still be referring to it as Webmaster Tools in this article. Log in to your Google Webmaster Tools account. For the purpose of this article you should already have your site added to your account and verified. If that’s already been done, look up the site you wish to share in the list and click on Manage site -> Add or remove users. In the next step you’ll see a list of current users authorized to view this site’s data. It will most likely just be yourself. From this view, click on the Add a New User button. A popup window will ask you for the new user’s email address. The email address you enter must be associated to a Google Account, otherwise you won’t be able to add them. From the Permission dropdown list select either Full or Restricted. Full permissions lets the new user have the same amount of control you currently do. This is the recommended permission setting if you’re bringing someone on to improve your site’s performance or take care of bad incoming links. Restricted permission can view all the data but cannot make any changes. When you’re ready, click the Add button. You should now see a new user on the list of managers for the site you selected. To remove a user, click on the Delete button on the same row. There is another option for adding users to Google Webmaster Tools. You can assign another Google account user as an owner. This privilege gives them the same access as Full permissions with the added option of managing users themselves. In order to do this, click on the Manage site owners link next to the Add a New User button and at the bottom of the page you’ll see a list of verified site owners. Click on the Add an owner button. A popup will appear asking you to enter the email address of another Google account user. Enter it and press Continue. The new user will receive an email asking them to confirm whether they wish to be registered as an owner before they have access to the site on Webmaster Tools. Original owners can unverify delegated (new) owners, but the new ones cannot eliminate the original owners. When you’re finished adding the users you need to your Webmaster Tools sites, make sure to also share those properties with them on Google Analytics!